Berlin, Germany – September 1, 2016 - YI Technology, the leading, international provider of advanced, intelligent imaging technologies, continues its global expansion: Sean Da, co-founder and CEO of YI Technology, has announced today that the company continues entering the European market with its complete portfolio of action cameras, home cameras and dashboard cameras. After successfully launching in the US market and select European countries, YI Technology continues its expansion in Europe. “Our products address a growing demand for affordable innovation in the European action camera market — not just from professional filmmakers, but anyone from holidaymakers to sports people, who want to get the clearest possible moving images of their activity,” explains Sean Da, co-founder and CEO of YI Technology. “We are confident to have the right portfolio to successfully compete in the European market and grow our global presence”. The imaging leader will present its key products at IFA in Berlin (2-7 September, 2016, Hall 6.2a / booth 136), one of the world's leading trade show for consumer electronics and home appliances. Founded in 2013 in China, YI Technology is a fast growing company and is well known internationally through its first partner, the mobile leader Xiaomi. YI Technology is already successfully established in China, Asia and East-South Asia, and is aggressively driving its international expansion in the US, Europe, Russia and the Middle East. 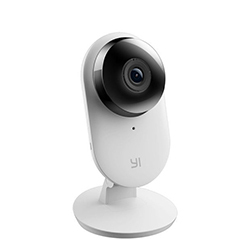 YI Technology’s innovative and multifunctional key products, the Action Camera, Home Camera and Dash Camera, allow users to capture their lives in full HD videos and photos. iOS and Android apps allow users to control the cameras and share their experience via their mobile devices. 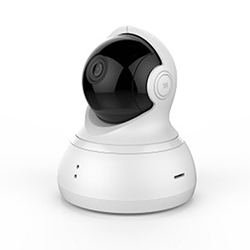 YI Cameras are powerful and light weight and equipped with the world’s leading imaging processors. 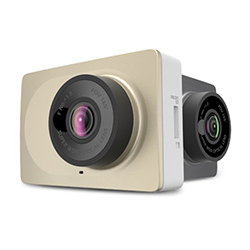 YI Technology’s latest addition to the company’s successful line of action and home cameras, the significantly advanced YI 4K Action Camera, is the first action camera in the market that combines 4K30 video recording, integrated touchscreen and up to two hours of battery life. The camera enables users to shoot the clearest quality images. It can be controlled via an integrated 2.19-inch, 640x360 resolution touchscreen at 330ppi. With a full 160-degree viewing angle, the display allows users to preview their videos on the fly and never miss a shot. 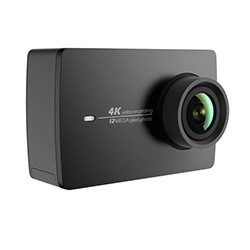 “We’ve packed the YI 4K Action Camera with the best components the industry has to offer, to deliver truly outstanding performance at an affordable price,” says Ye Song. The camera comes with Sony’s 12MP IMX377 CMOS image sensor and the latest A9SE75 processor from Ambarella. This allows users to capture and share moments with increased speed and lower power consumption — including 4K30 video recording at 30 frames per second. The action camera is now available for Price: GBP 229.99/ EUR 269.99 on Amazon UK for shipping in Europe.